Raj Rewal was born in 1934 in Hoshiarpur, Punjab, India. He created a revolution in geometric design systems. Creation of geometric systems and responding visual imageries are apparent in Raj Rewal’s architectural works. He lived in Delhi and Shimla for a couple of years in his childhood that is from 1939 – 1951. He attended Harcourt Butler higher secondary school. 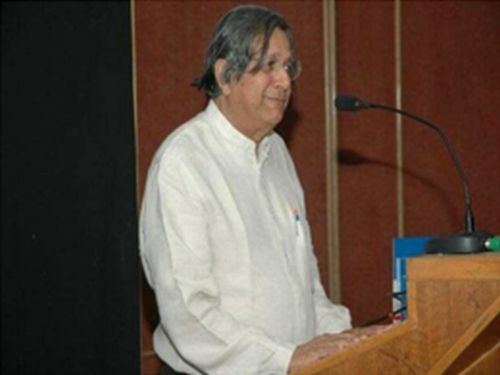 In 1951-1954, he attended Delhi School of Architecture in New Delhi. He was very imaginative and a creative person. His imaginative perception helped him go a long way. He believed in gaining knowledge and then applied his knowledge mingled with creativity in his projects. After completing the post graduation in Architecture; in 1955-1961, he moved to London and attended the architectural association of architecture for one year. He completed his formal professional training at the Brixton school of building, London. Raj Rewal took up his first job as an assistant stage manager for several avante grade theatre production in London. He became an associate of the Royal Institute of British Architects, London. Le Corbuier was an architect, painter and a philosopher. He became a powerful thinker of new urban theories and propounded a bold, modern architecture. In 1951, he was appointed Architectural Adviser to the Punjab government for designing the new capital city, Chandigarh. This city represents the expression of his revolutionary ideas and is where his greatest monuments have been erected. Le Corbusier and Frank Lloyd Wright became the pioneers of Modern Architecture…. He lived his austere life and admired the simple and the useful. He was not only an architect and a planner but a painter, a sculptor, in secret a poet, a visionary whose view encompassed all that concerns man. 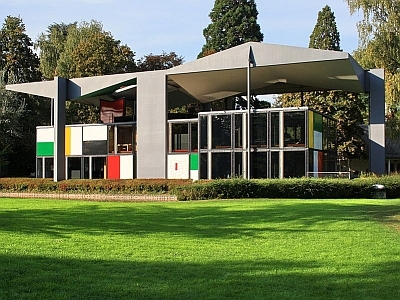 Above all, Corbusier was a great humanist whose primary preoccupation was the welfare of man. He worked in India for a pittance and did not die a rich man. 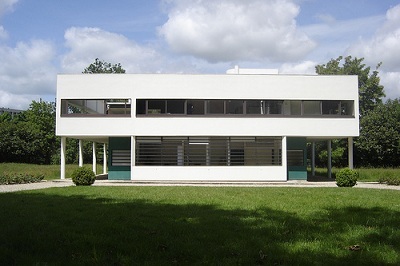 Charles Edouard Jeanneret was born at La Chaux de Fonds on October 6, 1887 and later adopted the pseudonym Le Corbusier. He came from a family of watch engravers in Switzerland, and his mother was a musician. He grew to maturity in the intellectually stimulating city of Paris and adopted French nationality. He travelled extensively and learnt many lessons from the classical architecture of Greece and the Europen cities. He became a powerful thinker of new urban theories and propounded a bold, modern architecture. In 1951, he was appointed Architectural Adviser to the Punjab government for designing the new capital city, Chandigarh. This city represents the expression of his revolutionary ideas and is where his greatest monuments have been erected. “ A great architect is not made by way of a brain nearly so much as he is made by way of a cultivated, enriched heart”. 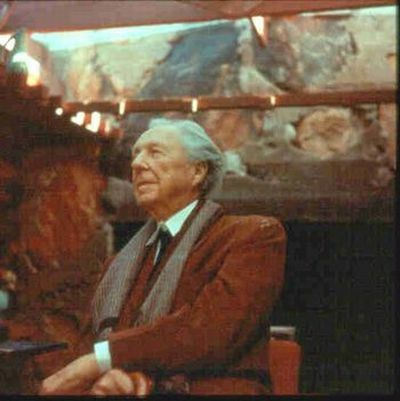 Frank Lloyd Wright was born on June 8, 1867 in Richland Centre, Wiscosin. Wright contributed the ‘Prairie’ and ‘Usonian’ styles to American residential architecture. Elements of his designs can be found in a large proportion of homes built today. Wright studied civil engineering briefly at the University of Wisconsin. At 20 years of age, he joined a Chicago architectural firm as a draftsman. Wright eventually became chief draftsman and supervised the firm’s residential designs. Wright started his own firm in 1893, and began developing ideas for his ‘Prairie House’ Concept. You are currently browsing the archives for the Biographies category.